NEWS 2/2/15: The family confirm that Peter has been released. Very grateful to all supporters and we will update again soon. Award-winning foreign correspondent Peter Greste was arrested in Cairo on December 29, 2013. He had been in Egypt only weeks, working on a short relief posting as a journalist for an international TV news network. After a trial which attracted worldwide attention, on June 23, 2014, Peter was convicted of reporting false news and endangering Egypt’s national security. He was sentenced to seven years jail. He remains in Cairo’s Tora Prison. This website is the official platform, built and approved by Peter’s family. 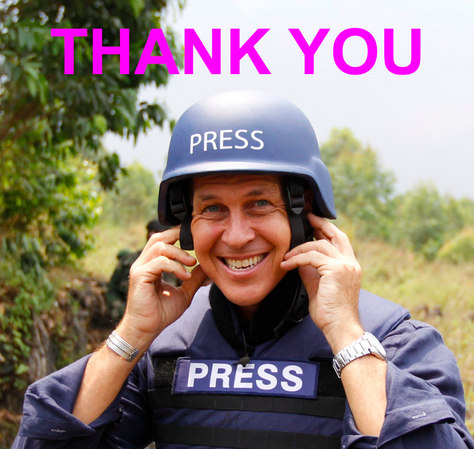 It endeavors to share our public appeal and provide information relating to the campaign FREE PETER GRESTE. We maintain Peter’s innocence and are working tirelessly to secure his release and clear his name. Peter is a dual Australian-Latvian citizen. There has never been a criminal conviction in his extended family. In many cultures, great importance is placed on the honour of a family and its good name. This is also true for the Latvian heritage of Peter’s father Juris and all fair-minded Australians. The Greste family bears no malice against the people of Egypt. May they have peace, security and prosperity. PEN International welcomes news of the release in late December 2014 of prominent Beijing-based writer, editor, and publisher, Xu Xiao, and publisher Liu Jianshu. PEN International and the International Publishers Association are deeply concerned at a new wave of arrests of writers, journalists, publishers and civil society activists in China. PEN International continues to call for the immediate and unconditional release of Liu Xiaobo and wife, Liu Xia. PEN International welcomes the release of Iranian-Canadian blogger Hossein Derakshan.